The Rebel Sweetheart. : Wordless Wednesday #92 | An Unexpected Guest. Two days after the onslaught that was Glenda, an unexpected guest flew into my grandmother's home. The poor thing must have lost its way during the typhoon, so we decided to take care of it for the meantime. Everyone was so excited to have this feathered friend around, especially my little man. 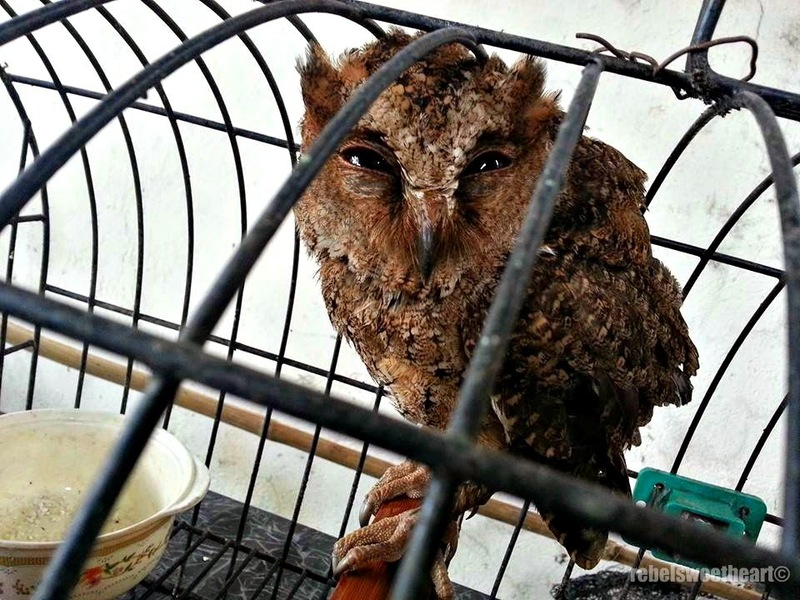 He even named it 'Hedwig', after Harry Potter's ever famous owl. I believe this is the Philippine Scops-Owl aka Oriental Screech Owl, though I don't remember hearing it screech while he was here. 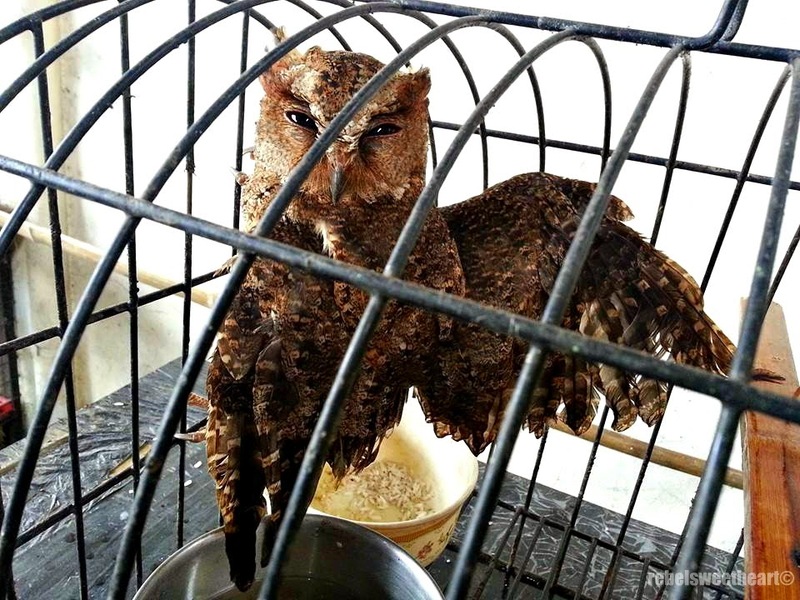 We were supposed to turn this guy over to the folks at DENR this week, but my grandmother decided to just let Hedwig leave on his own. She was worried that the poor thing might die, since we don't know exactly what to feed it with. I know owls eat mice and lizards and stuff like that, but how on earth am I supposed to give him those? Lol. Awe, so sweet to take care of him, hope he recovers quickly!! Hope the damage from the typhoon was minimal. And how nice of you take in the owl. Aww! that's so cute heheh! Aw, looks super cute! Lovely shots! I love owls. The are so neat to watch. I hope it gets better. Pretty cool! I hope he made it through and also survives the next typhoon! You guys stay safe too! That must have been a treat seeing that beauty "up close and personal". Great photos, too! Wow, you're so kind to keep the owl and let it go. Some kasi once they captivated a wild animal it's hard for them to let go. Hope "Hedwig" will be safe on his way back home. what a sweet face! !-- I hope he's happy where ever he ended up now. Glad you and your family is fine after the typhoon sis. And so is Hedwig, he/she is cute pa naman. Poor thing - glad you were able to help. And yes, my kids would call it Hedwig too! I would totally be freaked out if something like that got in to my house. I have never seen one up close, but i like the look of the owl.. and i believe they are good for keeping things away. 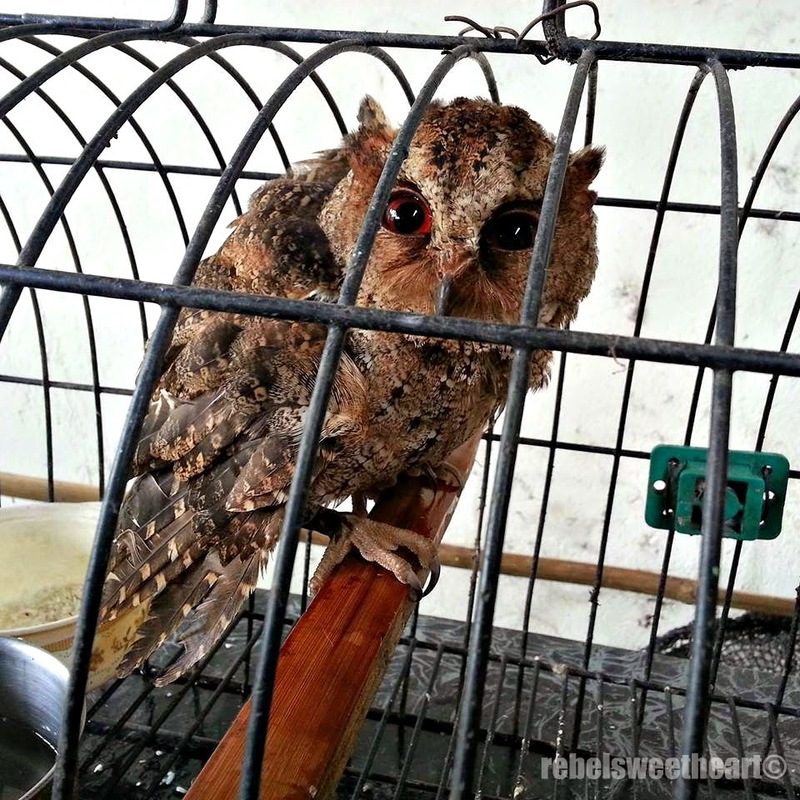 Poor little guy-he must have been terrified--a typhoon and then in a cage! I am sure he is fine now that he is back where he belongs and he can find his own meals! I do think it was good that you kept him for a while until he settled down from the typhoon trauma. What a beautiful owl! I've never seen one up close at all! How cool! I love owls because there is mystery behind them or that is what I think. Kodos for watching over it.